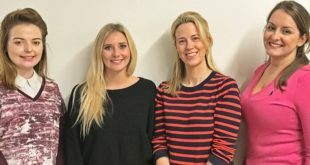 What brands will Technicolor be showcasing at BLE 2017? Pam Kunick Cohen: Together with our global licensing agent, CPLG and Super RTL, who is responsible for the brand in Germany, we’ll be focusing on The Deep, an underwater adventure series for the whole family based on the Aurealis award-winning graphic novel series created by multi-award-winning best-selling comic book author and playwright, Tom Taylor (All New Wolverine, Earth 2, Superior Iron Man, Batman: Legends of the Dark Knight, Injustice: Gods Among Us, Star Wars: Blood Ties), illustrated by James Brouwer (Justice League Beyond), and published by Gestalt Comics. The Deep television series follows the adventures of the Nekton family, a brilliant team of underwater explorers–featuring pirates and gigantic sea creatures – investigating aquatic mysteries and searching for a fabled lost city. It’s an all ages adventures series that families can enjoy together. The Deep has also garnered several international industry nominations and awards, including the 2017 Kidscreen Award for Best New Series (kids category); the Golden Sparrow Award at the German Children’s Media Festival, and multiple nominations for the 50th Annual AWGIE Awards in Australia for Children’s Television, (five to 14 years old), with writer Thomas Duncan-Watt winning the award for Best Writing/Best Script for the episode Beware of Sentinels. BLE will be critical for us this year to continue to build the property into a cross-category brand across Europe. How has the audience response for The Deep been so far? Pam Kunick Cohen: The response to season one has been so fantastic, scoring many top ratings and positive audience feedback, that most of our partners picked up season two of the series. We are already seeing strong ratings for season two, which recently debuted on Australia’s ABC ME, airing daily from August 22nd, where it was the top-rated show that day, and rolled out weekly on the UK’s CBBC in July in their popular Faves at Five slot, quickly rising to the number one series for kids aged from six to 12 for the week beginning July 31st, according to BARB. Season two also debuted on September 5th on Canada’s Family CHRGD and debuted on Netflix in the US on September 22nd. The day after season two launched on Netflix, audiences on Facebook were already asking for season three. 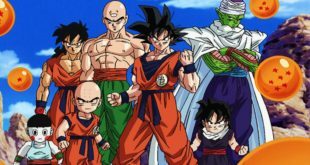 Given the enthusiastic response, we were able to secure an agreement with NBC’s new Universal Kids channel in the US where the season one recently debuted. We have over 20 additional broadcasters on board for season two and look forward to getting their audience feedback. Also recently announced is our deal with Simba Toys who has been appointed as master toy licensee for the series in a deal brokered by licensing agency CPLG, a DHX Media company. Under the Simba brand, the toy company will initially release a range of figures, play-sets and role-play toys and accessories, before expanding into outdoor, die-cast and radio-controlled vehicles. The first toys will roll out at retail in Germany, Austria, Switzerland, UK and Nordic countries in mid-2018. Since we made this announcement, we have had an outpouring of positive response on our Facebook page, with fans wanting the toys now. 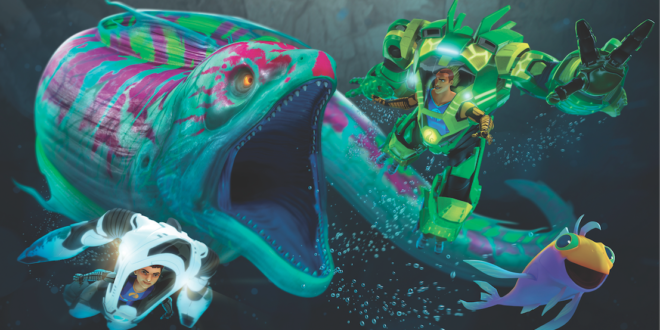 And Merlin Entertainments Group is reporting fantastic feedback from our promotion at more than 20 of its SEA LIFE aquariums in the UK and Germany, where children are invited to solve the secrets of The Deep, navigating the zones of the aquarium for clues to become a Junior Nekton. What are the key categories you will be focusing on this year? Pam Kunick Cohen: In addition to the Simba Toys deal, we just signed an agreement with SimEx-Iwerks Entertainment to create a brand new 4-D theatrical experience, which will premiere at landmark venues globally starting in spring 2018. The new 4-D theatrical event, The Deep: Mystery of the Ancient Amulet, will provide a 12-minute fully immersive 3D viewing experience, featuring exclusive new 3D CG animation, an original storyline and stunning special effects – delivering on the 4D experience with vibrating seats, water spraying, bubbles and more. The in-theatre experience will be available at zoos, theme parks, aquariums and other venues around the world. Beyond that, we are very close to signing a major publishing deal and are looking to expand into apparel, accessories, novelty, home décor, back-to-school and seasonal items. What are the key regions for your brands? Where are you seeing the most growth? Pam Kunick Cohen: We have a lot of interest from Europe due to the strength of our broadcasters and the strong ratings the series is getting, which is providing numerous opportunities to grow the brand. Why is BLE an important event for Technicolor? Pam Kunick Cohen: Given the strength of The Deep across many of the European territories and the licensing momentum we have with Simba Toys, and a soon to be announced major publishing partner, BLE will be critical for us this year to continue to build the property into a cross-category brand across Europe. BLE offers us the perfect opportunity to showcase the excitement of the brand to a wide variety of potential licensees and retail partners, and along with our licensing agent CPLG, we already have set many meetings with potential partners. 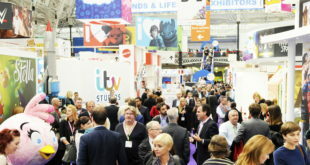 We anticipate signing many new deals across a variety of categories as a result of our participation at BLE this year.